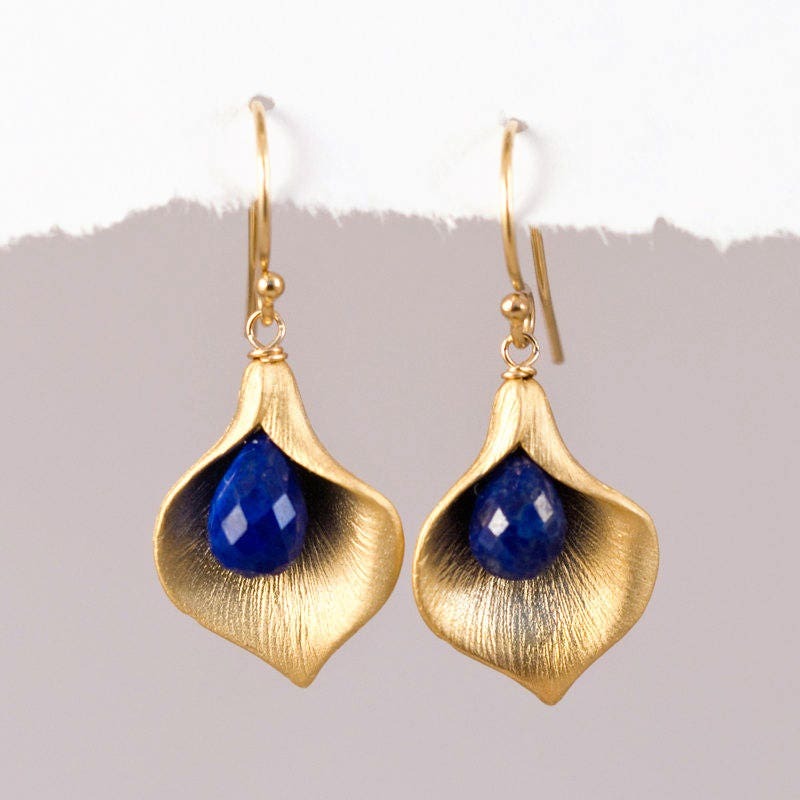 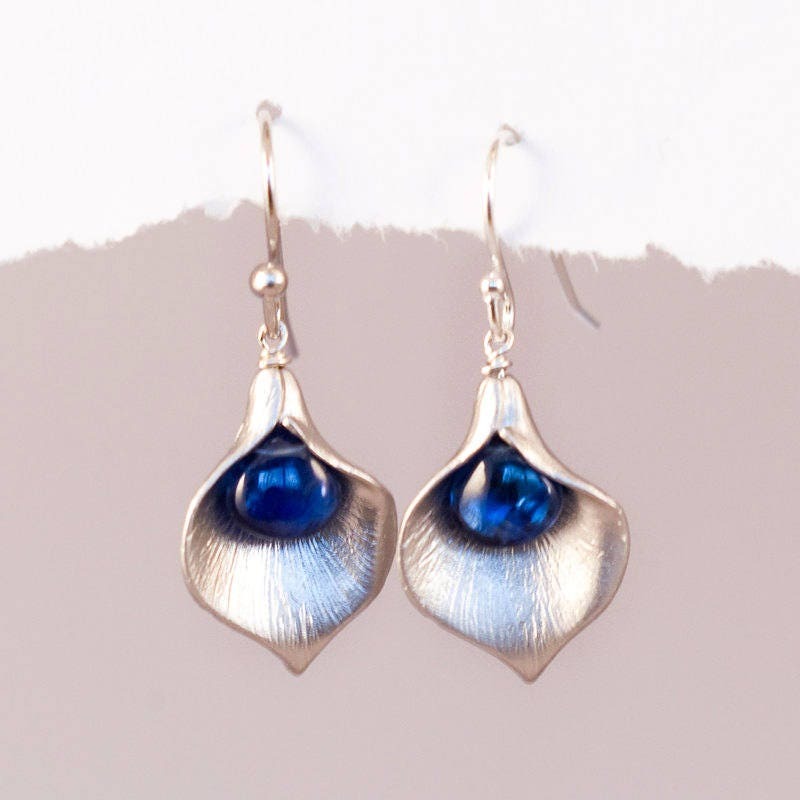 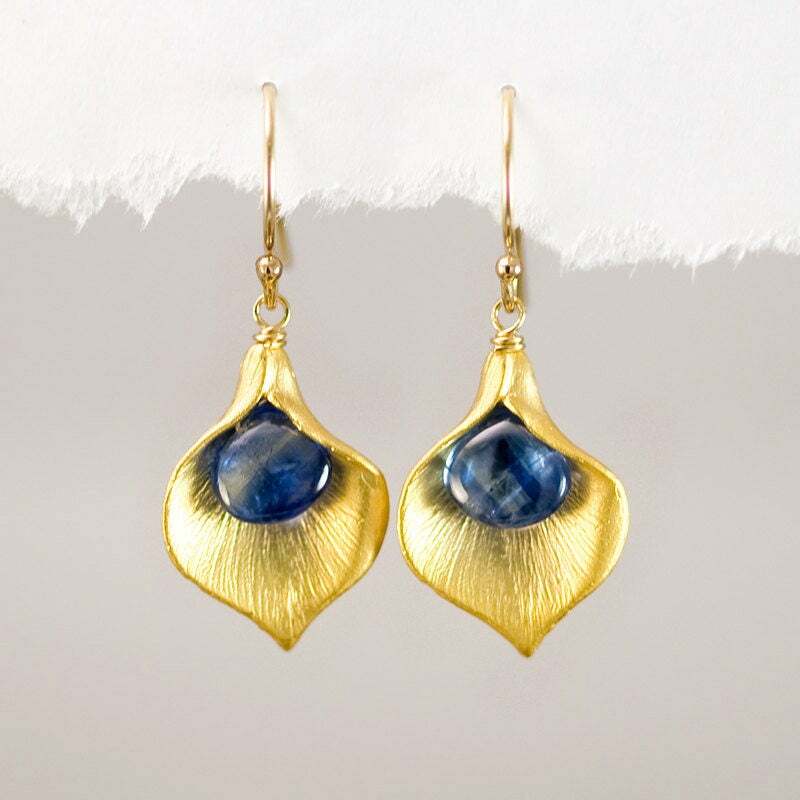 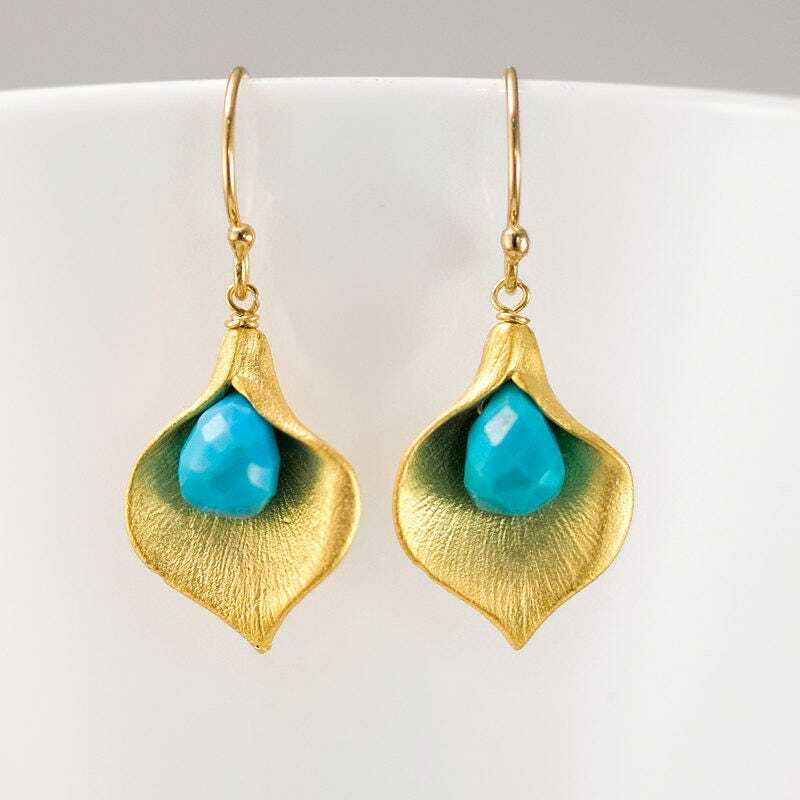 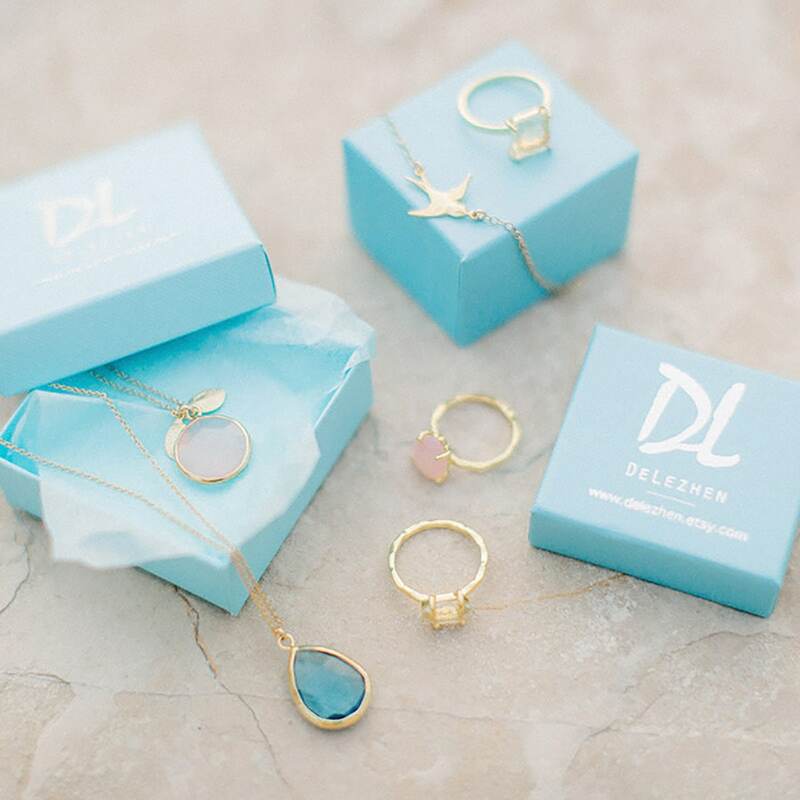 Our timeless Calla Lilly birthstone earrings are a Delezhen best seller! 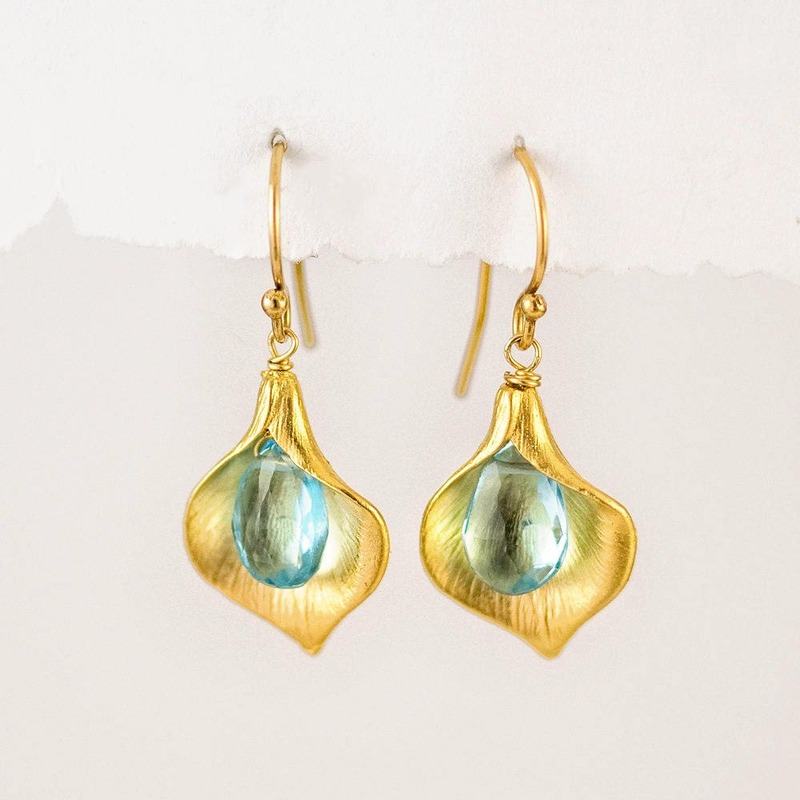 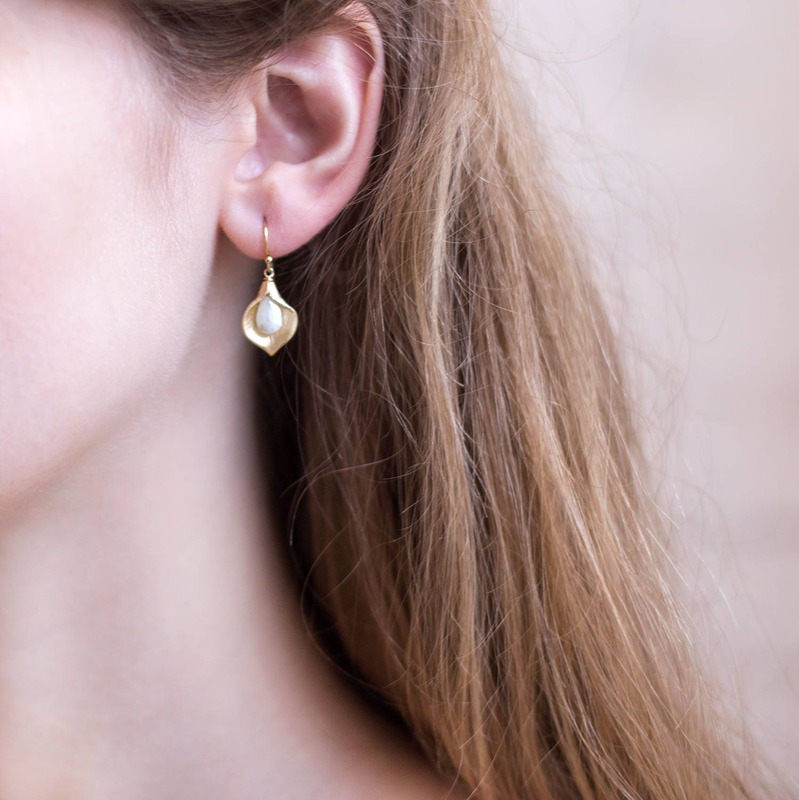 Simple and elegant, these one-inch drop earrings feature a silver or gold plated calla lily with a wire-wrapped stone of your choice tucked inside. 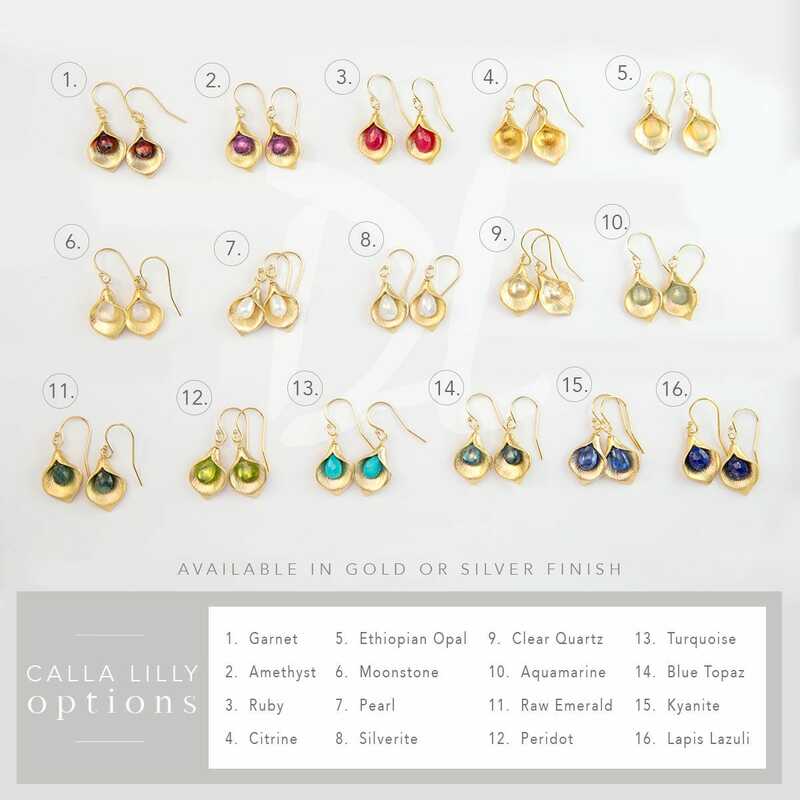 Available in 16 different stone & color options, these earrings make ideal gifts!